Beautiful outfit! I think my husband and I are going to see The Vow for Valentine's day. 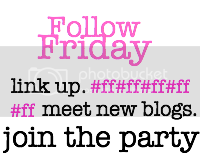 Love you blog, I am your newest follower and I am stopping by from #FF! I am also a farmer's wife!! Have a great weekend! So cute! I really love that dress, and those shoes are just gorgeous. Visiting from #FF. Hope you have a fabulous weekend my dear! I lovvvve the outfit...I'll take one of each! And you have excellent taste in polish & lipstick, might I add. ;) I love those booties!! Do you know where they're from? We found you through Follow Friday over on Hollie Takes Notes. We're now following you & we'd love for you to visit our blog! Love the nail polish and lipstick!! Have a fabulous weekend. i LOVE all these items. seriously i am missing them in my closet lol.